It wasn’t until the fall of 2012 that I REALLY gained an appreciation for how badly whiplash hurts. I’d been treating auto accident patients as a chiropractor literally every day for years and thought: I’m sure this hurts but it can’t be THAT bad. I mean, everyone has been in some sort of accident, right? Boy did my neck hurt. And my right foot from jamming on the breaks so hard! I called my assistant to reschedule patients for the morning (ha) and wait for the tow truck to haul my booty off of the highway. As the adrenaline subsided at home, the pain really started to set in. The next morning? Forget about it. I literally couldn’t lift my head off of the pillow my neck hurt so much. I’ll never forget dragging myself back to work 1-2 days later to treat patients with whiplash injuries while I suffered from my own excruciating whiplash pain! Fast forward to the happy ending: it’s 4 years later and I literally don’t have even a tiny remnant of pain from that accident. Why? I took my own advice and got treated at my office for a few months to avoid long term pain! Have you ever met someone who said, “I was in an accident a few years ago and my neck/low back have just never been the same”. Here’s why: whiplash is the gift that keeps on giving. What they’re not designed for is stopping a high velocity whipping motion of your neck! 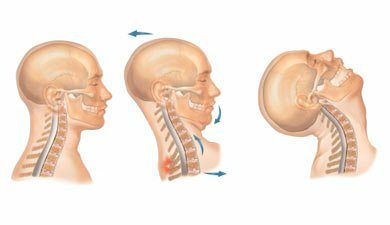 Typically felt in the neck, whiplash may also cause upper back, shoulder and arm pain, along with mid-back and low back pain. Immediately following a whiplash injury, pain and stiffness may not feel that strong. Unfortunately, they can gradually increase as time goes on. WHY? A whiplash injury is a deep sprain/strain, like receiving thousands of tiny paper cuts throughout the muscles, tendons, and ligaments close to the spine. As the body tries to heal and protect itself, it begins to lay down layers of scar tissue into those tiny little paper-cut injuries to plaster them shut. As more and more layers of plaster get laid down, stiffness and pain may increase. 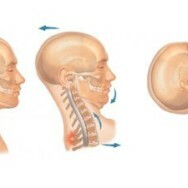 This is where the cycles of stiffness and pain can evolve for months if not years following an accident! Keep in mind that while whiplash is most commonly caused by car accidents, unexpected falls, getting punched, being tackled on a football field, riding a jerky roller-coaster, or suffering a head injury are all potential ways you may have experienced whiplash firsthand. This can lead to painful long-term conditions without getting the proper treatment. Our approach of choice? Treat patients for pain and release them with a plan to stay well. TLC for the joints, muscles, ligaments, nerves at our natural pain management and holistic health office in Aventura. Did you say 14 days? Get checked out at our office in Aventura within 14 days of the accident. Why? You might not feel the bulk of the scar tissue pain cascade until AFTER the 14 days. Sadly, your auto insurance benefits will have expired by then. 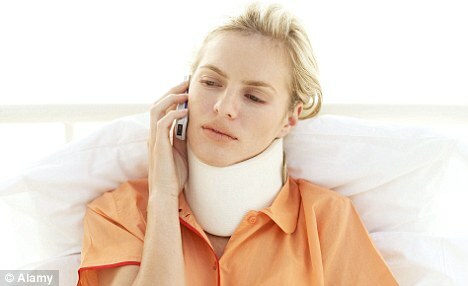 Get checked within 14 days for symptoms of whiplash. …You will need to exercise with us. The goal isn’t just to be pain-free but to restore you to pre-accident status. That might mean CrossFit workouts, lifting a grandchild, or sitting for more than 30 minutes without pain to work. The unique exercises (and maybe even yoga!) that we give you will get you back there after the lovely hands-on therapy. Eat the anti-inflammatory diet. Okay, I realize this is a stretch but if you want to reduce pain and inflammation naturally, this is a no-brainer and will make your therapy that much more effective, reducing pain from the inside out. Like what you heard? Want to work together 1-1? Let us help you!